An integral part of Nazi plans for a new ordering of Europe was the so-called Final Solution of the Jewish Question. From the occupied territories of Bohemia and Moravia, too, citizens of Jewish origin were hunted down and, from November 1941, gradually deported to the town of Terezín (the Main Fortress), where the Nazis arranged a ghetto for them. Here they were to be massed until the extermination camps further east were ready to carry out their final liquidation. Initially, the barracks in the town were used to accommodate the Jewish prisoners, and once all the local residents had been moved out, by mid-1942, all civilian buildings were sued for this purpose. Massive overcrowding, however, also led to the use of attics, cellars, and the casemates within the ramparts. Terezín became the largest concentration camp in the Czech Lands, with thousands of transports arriving here carrying Jews not only from the Protectorate of Bohemia and Moravia, but also from Germany, Austria, Holland and Denmark, as well later as from Slovakia and Hungary. In less than four years, more than 140 000 prisoners were brought here – men, women and children. In the last days of the War, a further 15 000 prisoners arrived at Terezín on evacuation transports from concentration camps cleared from the advancing front line. Over 35 000 prisoners died here as a result of stress, hunger, and the atrocious accommodation and hygienic conditions. The Terezín camp for Jews was headed by a Nazi Komandantura, which gave instructions to the Jewish authority which took care of the internal organisation of the camp. Direct supervision of the prisoners was left to the Protectorate guards, the great majority of whom sympathised with the prisoners, attempted to help them and kept them in touch with the outside world. 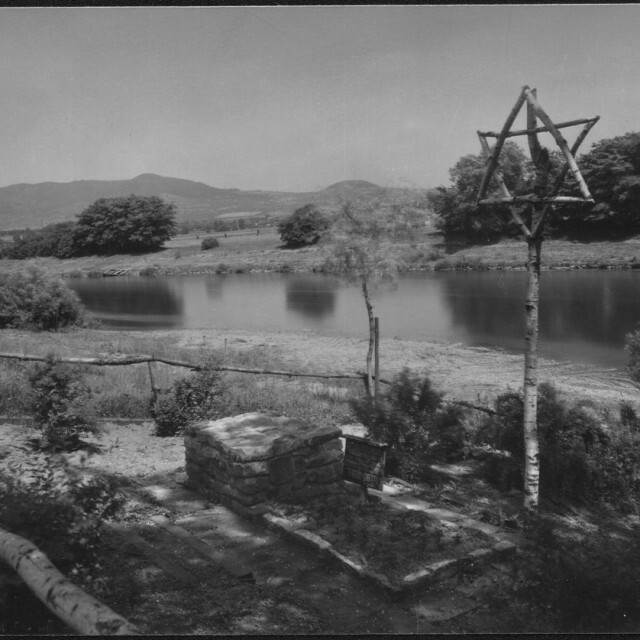 Within the camp, all manner of prohibitions and ordinances applied, and only cultural life was for a certain period permitted, as it could serve as a backdrop disguising the truth of the fate that had been decided for the Jews. The internees took up the arts as a means of coping with depression and their fears for the unknown future. They attempted to ensure that even imprisoned children missed nothing of their education, and did not lose their outlook. Despite Nazi prohibition, therefore, they taught in secret, dedicating themselves with great self-sacrifice to educating the children; even behind the walls of the ghetto, they prepared them for a future in freedom. Unfortunately, even as transports arrived at the ghetto, others gradually began to leave – into the unknown. From October 1942 virtually all went to Auschwitz-Birkenau, the most awful of the extermination camps. In all, 63 transports left Terezín for the East, carrying a total of more than 87 000 individuals; of these, only 3800 would see liberation. The fate of the children of Terezín was equally tragic; of the 7590 youngest prisoners deported, a mere 142 survived until liberation. Only those children who remained for the whole period at Terezín had any really chance of being saved; on the day of liberation, Terezín contained some 1600 children aged 15 or under. Their lives are reflected in verses, diaries, illegally produced magazines and thousands of drawings – often the only things that remain of them. Among the personalities active in the cultural life of the ghetto were the writers Karel Poláček and Norbert Frýd, from the world of music Karel Berman, David Grünfeld, Ada Hechtová, Karel Ančerl, Rudolf Franěk, Karel Reiner, Viktor Ullmann, Gideon Klein, Pavel Haas, Hans Krása and F.E. Klein, from theatre and cabaret arch. František Zelenka, Gustav Schorsch, Vlasta Schönová, Karel Švenk, Zdeněk Jelínek, Ota Růžička, Kurt Gerron, Hanuš Hofer, and Leo Strauss, and from the arts Bedřich Fritta, Otto Ungar, Leo Haas, Ferdinand Bloch, Karel Fleischmann, Petr Kien, Adolf Aussenberg, Charlota Burešová, Rudolf Saudek, Jo Spier and Arnold Zadikow.